Communities are ready and land has been granted. This is your opportunity to support the 2014 planting season! 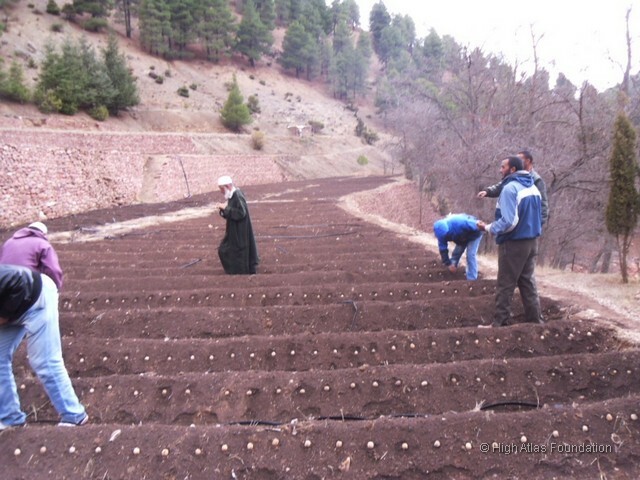 Make this season transformational for Morocco by donating to the High Atlas Foundation’s nursery projects. Public and private partners have lent nine plots of land in nine provinces. Your help can provide seeds for community nurseries before the season ends in just six weeks! Your donation of $100 will plant 200 trees and provide irrigation and training to ensure nursery maintenance. On January 16th, 2014, we planted the one millionth tree. These next weeks, we can plant an additional 1,620,000 organic seeds and benefit 100,000 people. In the Al Haouz Province, five plots of land have been lent by the Marrakech Jewish Community. These locations are in the municipalities of Ait Faska, Ouirika, Tamaguerte, and Tameslouht; and in the Tidili municipality of the Azilal Province. These land will house 900,000 fruit trees to the benefit of 26,000 people over five years. Your support provides rural farmers with sustainable, green economic growth. 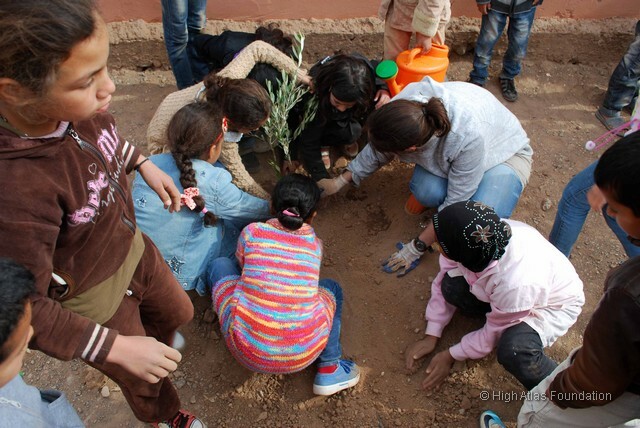 Rural primary schools have expressed great enthusiasm for planting thousands of fruit trees with HAF’s Sami’s Project. 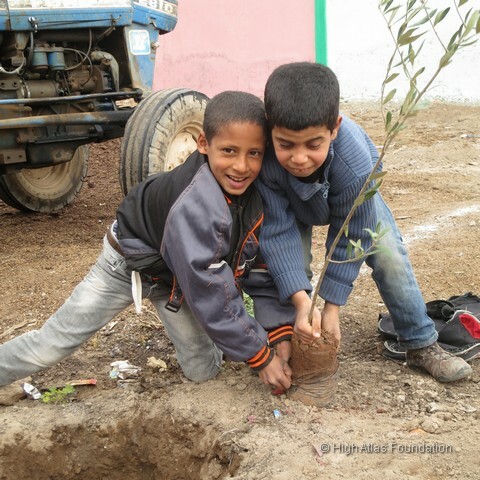 Children gain invaluable knowledge while beautifying their schools and enhancing their lives. 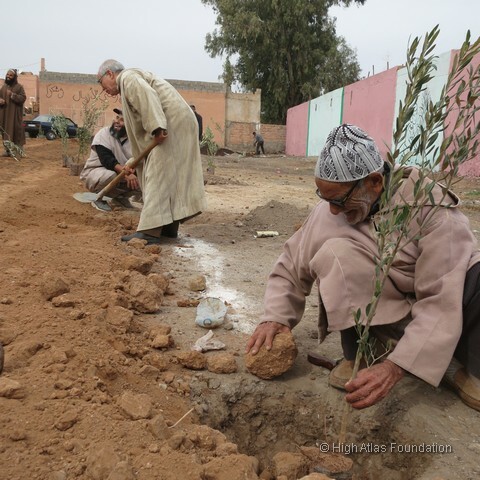 Province has lent land in the commune of Ounagha to create a HAF-community nursery of 600,000 fruit trees and medicinal plants and to benefit 20,000 people. 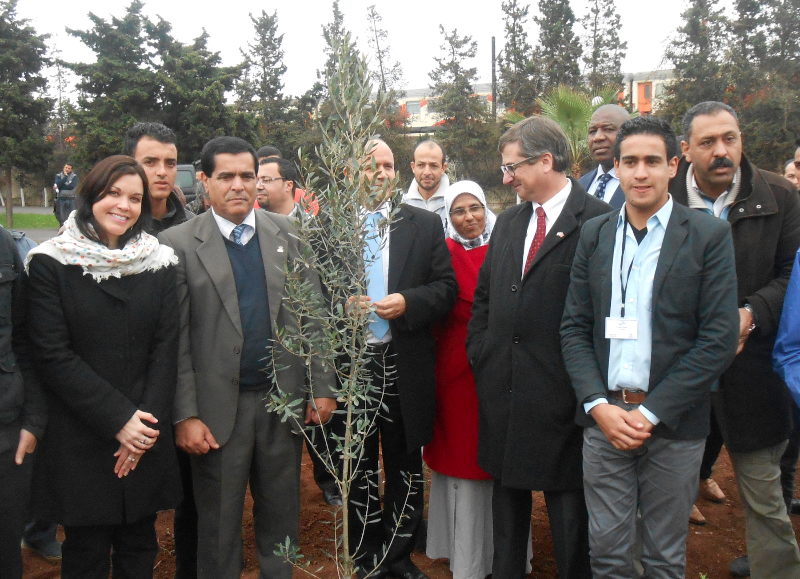 A generous land contribution by Al Akhawayn University in Ifrane has made possible a community nursery. 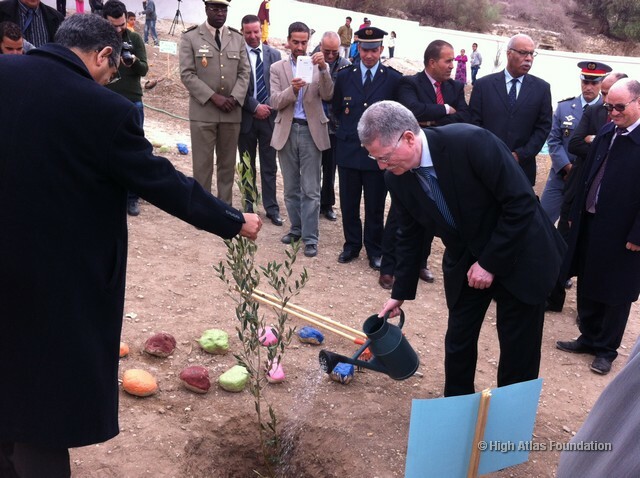 40,000 fruit trees will be planted to generate income and green growth for 3,000 local people. This project involves students and community members as they plan and implement this organic and human development initiative. The High Atlas Foundation is a Moroccan-US non-governmental organization. 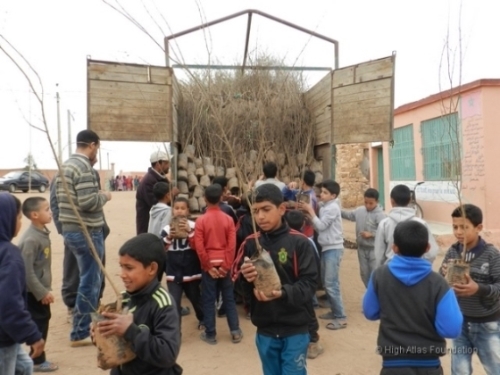 Founded in 2000 by former Peace Corps volunteers, it facilitates the establishment of vital development projects in predominantly rural, disadvantaged communities throughout Morocco. It has won significant international recognition and since 2011 has held Special Consultative Status at the United Nations Economic and Social Council.